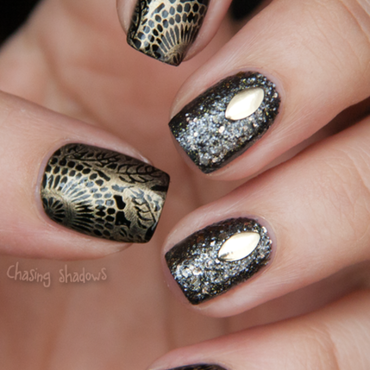 The stamping design comes from the Moyou plate Pro-02. 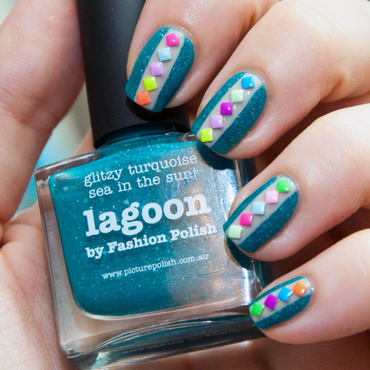 The "jewel" part is made with half pearls, micro-beads, purple nailheads and other shapes of stones. 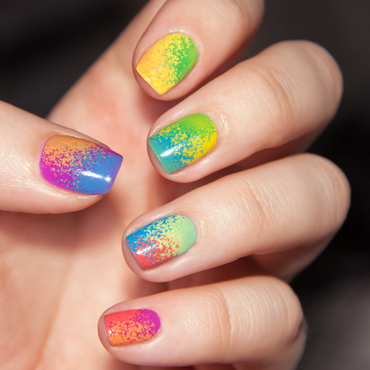 I used more than 16 different polishes for this nail art, so I did not bother to list them all here. 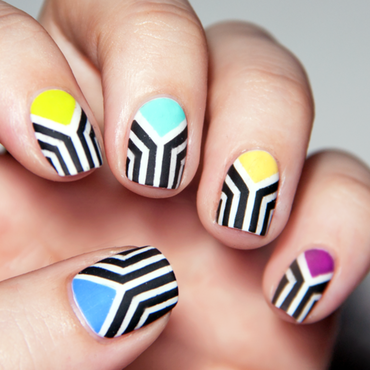 The techniques are stamping (Moyou plate), scotch tape and striping tape. 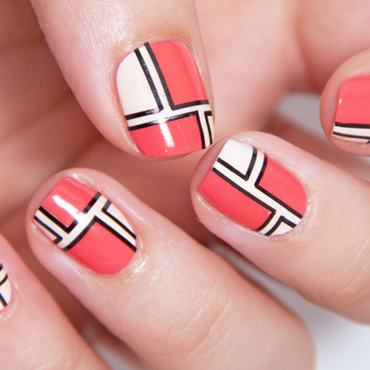 This design was made with scotch tape and striping tape. It reminds me of comics, with the boxes and borders. 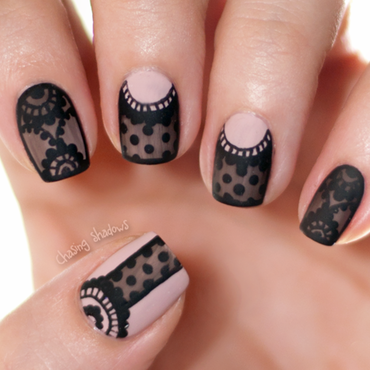 The stamping plate used is the Suki-04 by Moyou. 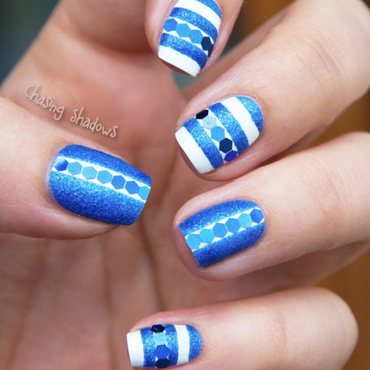 This combination of colors and shape is meant to evoke the sea, the beach and the dots of umbrellas seen from above, in an abstract way. 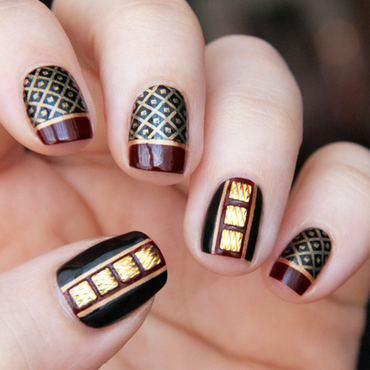 Made with tape and studs. 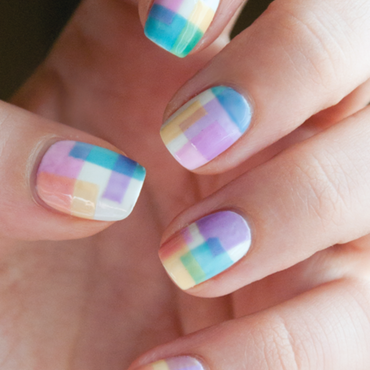 A scotch tape and striping tape design. 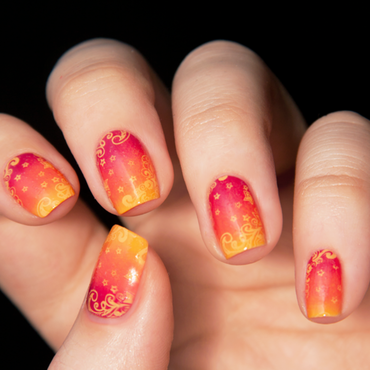 A nail art inspired by the gradient visible in the cocktail called "tequila sunrise" and decorated with a stamping design from the Moyou plate Princess 09. 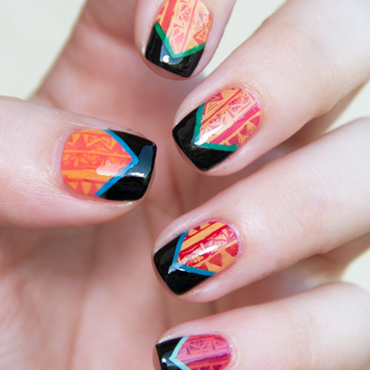 This nail art was inspired by a Rock'n'Roll theme. 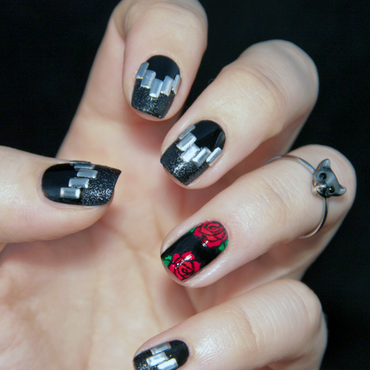 I used leather effect polish, metal studs and acrylic paint to make the roses on the ring nail.